"You want to be historically accurate? This is being historically accurate." If you grew up reading the Anne of Green Gables books, you probably remember characters such as Gilbert Blythe, Anne's great love, or Diana Barry, her beloved best friend. But there's one character you've definitely never heard of: Sebastian "Bash" Lecroix. 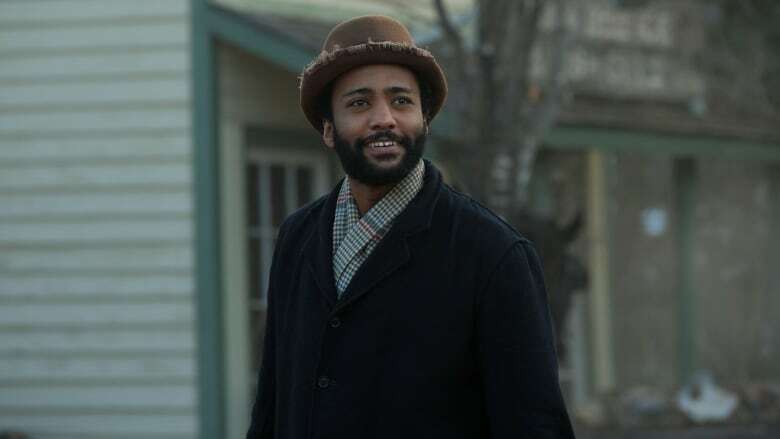 He's played by actor Dalmar Abuzeid, and was created specifically for the new season of Anne with an E. He's also the first black character to appear on the show. "There were people of colour in Canada's history at that time, so there would have been (people of colour) in the world of Avonlea and the world of Anne," says Abuzeid. "We never saw them. We're seeing them now. That is historically accurate, and what's more is [the show] is giving a platform to see even further than we have before." Abuzeid talks to us about making TV history, as well as how he got his big break on Degrassi alongside Drake.